In this guest blog Karen Jane Cannon writes about recovering the voices of ‘invisible’ women from the past. Karen’s novel Powder Monkey was published by Orion in 2002. 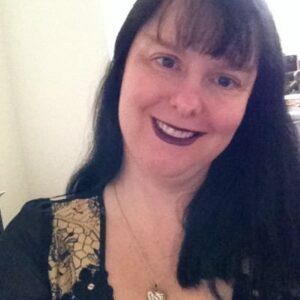 She has an MA in Creative Writing from Bath Spa University and has written for radio and stage. Her poems have appeared in a variety of print and online journals including Orbis, Acumen, Obsessed with Pipework, The Interpreter’s House, Ink, Sweat & Tears, and Popshot. Karen was commended for the Flambard Poetry Prize 2014. The inspiration behind Silent Voices came from reading my mother’s adoption letters, kept from the 1930s. I was fascinated how much social history they contained and the values of the time they revealed — pre NHS concerns about medical bills, the attitudes towards adopting girls rather than boys and so on — so much information gleaned from a just few lines on a page. From my previous studies of family and community history, I was aware how little women’s lives have been recorded in official sources — so many women leaving no trace at all of their existence. 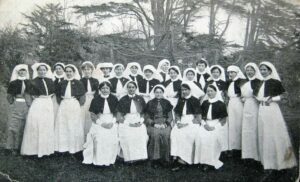 Many years ago, I conducted an oral history project about domestic servants in Sussex and was enthralled by the unique voices of the interviewees, the insights into their lives, the period details, and the attitudes of the time. As a society we tend to preserve the ‘great’, but rarely the ‘ordinary’ for its own sake, only how it correlates to the ‘great’. Yet it is the ordinary that resonates more deeply when we look back at our own lives — childhood memories, our families, how we lived. So Silent Voices is about preserving the idiosyncrasies of everyday life, a worm’s eye view of the lives of individual women, but with a bird’s eye focus on society itself, how it changes and evolves over time. After my mother-in-law’s death, while sorting out her things, we found tiny notes inside cabinets, vases, even a little Roman pot, detailing each piece and giving a short history of its connections to the family. Without these notes, we wouldn’t have had any idea that, for example, the Roman pot was found at a dig in 1890 by my husband’s grandfather. With her death, all this information would have been lost — there was no one else left to ask. As it was, there were many photographs of family members we couldn’t identify. 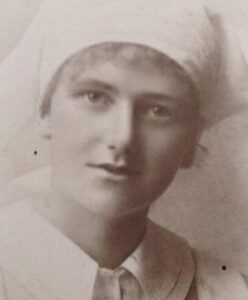 We found also a beautiful photograph of my husband’s aunt, a nurse at the turn of the century, who died in her twenties of scarlet fever, and we didn’t even know her name, so Silent Voices is also dedicated to her, a lost face from the past. It felt frightening — with one death, a whole family history could be wiped out, all the incredible lives irretrievable from history. My aim is to build a comprehensive social history of women, through found poetry — not the high status or high achievers, they are already well documented, but the other women, who just went about their lives. As a writer I have always been fascinated by themes of loss. It is such a fundamental, terrifying part of all our lives. 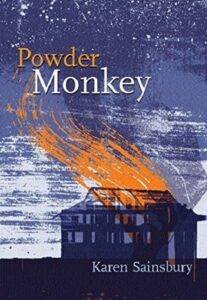 My novel Powder Monkey (Phoenix, 2003) set in rural Somerset, was concerned with the ‘ordinary’— three brothers and the status of siblings within families, and I thought, while writing it, what if I introduce a death, how would that loss change and influence the story and status within the family? In my poetry, loss is often a central theme, but there is increasingly a strong theme of birth and motherhood emerging too — how quick the transition from life to death, the fragility of life, the constant battle between darkness and light. I have always been fascinated by history. When I was eighteen, I left the South coast to live for five years (two without electricity) in the second highest village in Scotland, in an old leadminer’s cottage and was deeply intrigued and moved by the lives these families led, 1400 feet up in the Lowther Hills, in the bleakest of landscapes. Even the gravestones in the graveyard were moving — long lists of babies, all born and buried in such a barren cradle of hills, and my first pamphlet The Curfew Bell (to be published next year) draws on these experiences and the premature birth of my son. Of course, there is no such thing as ‘ordinary’. All the women featured in Silent Voices are extraordinary in many ways, and indeed many have survived extraordinary events. But to me, the word ordinary means ‘every day’ and Silent Voices represents just that — a glimpse into everyday life, however mundane or shocking, rather than the lives we choose to show — not the glossy, posed photographs of Sunday bests. But the lives left after the cameras go away, the ever-changing, adapting world in which these women lived. Somehow, keeping these ordinary women alive through their own words, makes loss and the passing of time less frightening. It’s exciting to be able to bring these ‘lost’ women back to life — to hear their unique voices, to see the lives they led first hand, with words that stand alone from the individual, to become representative of time and place, the commonality of experience, a collective social history. The poems are eclectic — from subjects like how to turn old socks into a bath mat, to surviving the Titanic, from the experiences of Australian nurses during WW1, to agony aunt letters. I try to keep the sources as original as possible, so nothing is altered, not even punctuation. All I do is restructure each piece into a poem, guided by the natural rhythm of the language. The sources range from letters, postcards, eye witness accounts, diaries and old magazines—. Silent Voices is not an obituary for the departed— far from it! Many of the poems are light-hearted or quirky. I want to re-animating these lost women through the vivid snapshots of life they leave behind. In a world ever-changing at the speed of light, taking time to look back as well as forward, is for me, extremely grounding and reaffirming. rises up like a monument to past life. lit a wick for someone lost. while we huddled inside. I turn to go. lost behind cold arms of stone.